Housing Helpers will be celebrating 30 years as a Boulder business in 2017. The company was founded by a University of Colorado student who saw the need for a better way to match roommates. It has grown over the past 30 years into a full-service real estate and relocation services company offering integrated housing solutions, always emphasizing friendly personal service provided by local professionals who are committed to the communities where they live and work. Housing Helpers differentiates itself from other real estate companies through the synergy its real estate, rental, corporate housing and leasing services offer customers. No matter what the real estate need is, Housing Helpers can help. The owner of the Boulder franchise, Stephanie Iannone, has been a leader in the Boulder community for many years. She currently serves as the Chair for the Boulder Chamber and has also held Board positions with the Boulder Area Realtor Association, IRES, and the Boulder Area Rental Housing Association. She has received numerous awards and recognition for her expertise, including Distinguished Realtor of the Year (from the Boulder Area Realtor Association Magazine), Top 25 Most Powerful Salespeople in Colorado (from COLORADOBiz Magazine), and 40 under 40 emerging business leaders (from BizWest). In the 23 years she has led Housing Helpers, Iannone’s passion has always been to help people. One of the highlights of her career was partnering with the City and County to find housing for people displaced in the 2013 floods. She is also proud of her team at Housing Helpers, which is an extension of her family. Their focus is to help people and serve their customers, and they also have a good time together. At their annual yearend party, they read letters from customers whose lives they have touched by helping them with one of the most important aspects of their lives – their home. When they next moved – from Colorado to South Carolina – they had Stephanie sell their Arvada home. “And now we’re back in Colorado and she found us this house, in the same neighborhood. We loved it here and now we’re back.” Iannone provided corporate housing while they waited to close on their home. Duncan also praises two of the Realtors on Stephanie’s team, Mindy and Kim. And the highest accolades go to Stephanie. “Stephanie makes you feel you are her priority, though she has tons of clients. She doesn’t really care what your price point is; she wants to be sure you find the right house for you. “And she’s a straight shooter. She’ll tell you if a house isn’t the right fit for you – for instance, if you have kids, as we do – and she’ll see things you might not notice. I think she’s amazing. She’s one of the best negotiators – very nice and fair, and strong. She fights for you. “I’ve been the seller and buyer with her. She really represents you. She’s a very caring, genuine person, and wickedly bright. 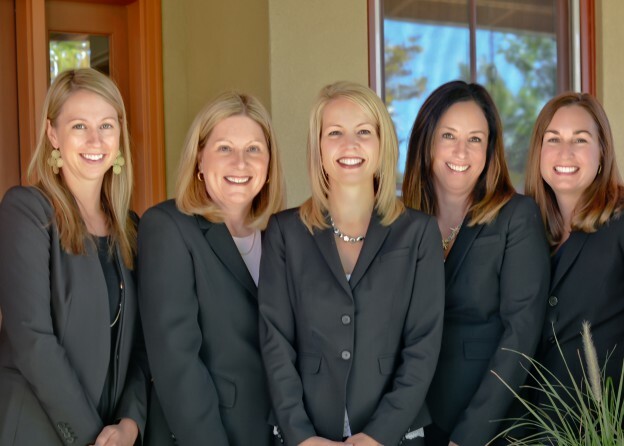 Housing Helpers award winning Colorado real estate agents provide home purchase, home sales, investment property, and relocation services to buyers, sellers and real estate investors throughout Colorado. This entry was posted in Housing Helpers News and tagged About Housing Helpers, Housing Helpers Colorado, Housing Helpers Inc, Housing Helpers Real Estate on November 29, 2016 by John Iannone.